Led by the defense and running game, the Green Bay Packers improved to 2-0 in the preseason after a 20-12 victory over the Oakland Raiders on Thursday night. The Green Bay defense forced two turnovers, limited the Raiders to under 200 yards of offense, and gave up just six points—Oakland’s lone touchdown came on a blocked punt—while nine different players combined for 145 rushing yards for the Packers. The starting offense opened the game with a lengthy drive that spanned 14 plays and took more than half of the first quarter. Led by Eddie Lacy, who continues to look much more dynamic than last year, and Brett Hundley, Green Bay methodically marched 74 yards and found the end zone on a one-yard dive by Lacy. That was it for the Packers’ scoring in the first half, but strong play from the defense and special teams gave Green Bay a 7-3 advantage at the end of the second quarter. The Raiders’ only points at halftime came on their first drive of the game, and the Packers’ defense limited Oakland to just 73 yards of offense. Quarterback Derek Carr had only 38 yards passing with an interception at the hands of Damarious Randall. The most notable development of the first half was an injury to Brett Hundley. After not playing last week due to an ankle injury, he again had his ankle rolled up on in the second quarter and was forced to leave the game. Hundley, who continued to show he can be one of the top backups in the NFL, completed 5/7 passes for 67 yards in his limited action. Joe Callahan filled in for Hundley, and while he occasionally struggled and looked slightly out of place, he also flashed impressive elusiveness and improvisation under pressure. Callahan finished the day completing 9/17 passes for 65 yards. While the Green Bay quarterbacks performed admirably, it was the running game and the defense that really stood out against the Raiders. 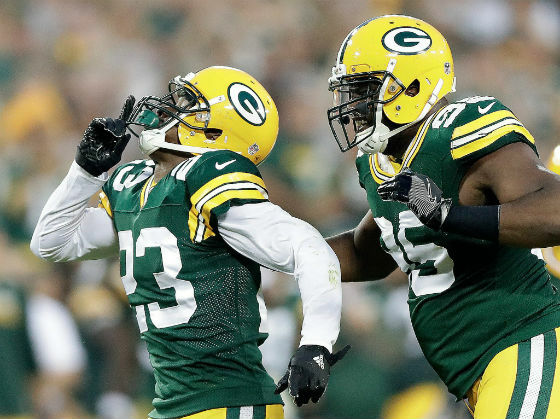 The Packers’ rushed for 145 yards, led by 45 from Lacy and 26 apiece from James Starks and John Crockett. Crockett added 27 yards receiving on four receptions and scored Green Bay’s second touchdown on a 10-yard run in which he plowed over a few would-be tacklers. Defensively, a lot of young players made a number of impact plays throughout the game. Rookie linebacker Blake Martinez had a team-high five tackles and was active in pursuit and getting to the ball carrier. Randall, who is expected to become a staple in the Green Bay secondary in 2016, recorded a tackle and a pass defended in addition to his interception. UDFA Josh Hawkins had an impressive pick of his own that he returned 45 yards. On special teams, the Packers had an up-and-down day. The punting battle between Tim Masthay and Peter Mortell was competitive against the Raiders after Mortell performed better a week ago. Masthay averaged just under 46 yards on three punts, while Mortell averaged 57 yards on his two punts. The Raiders only touchdown of the game came when safety Nate Allen blocked a Masthay punt late in the fourth quarter which was recovered in the end zone. Mason Crosby remained perfect in the preseason after knocking through a pair of short field goals. Overall, there were a lot of positives to be taken from the Packers’ second preseason victory. The offense performed well even without Rodgers and star receiver Jordy Nelson, who was activated off the PUP list this week and the defense prevented Oakland from getting into any sort of rhythm. Hundley’s injury was the biggest concern of the night, but hopefully Green Bay’s backup will be ready to roll before the season gets underway. The Packers will not play at Lambeau again until Week 2 of the regular season against the Vikings. They travel to San Francisco to take on the 49ers next Friday night. This entry was posted in Uncategorized and tagged Blake Martinez, Joe Callahan. Bookmark the permalink. It will be hard knowing who the 53 will be. Especially on the defensive side Pete. Some very talented young linebackers. That should be week 3 against Detroit, week 2 is a road game at Minnesota, particularly the new, shiny US Bank Stadium! 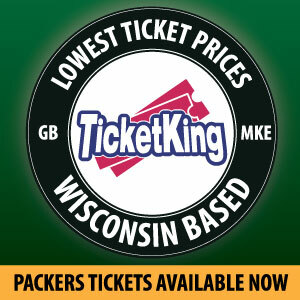 I know it’s the Preseason BUT, the Packers have the #1 Defense in the NFL at this time. Personally I think anytime the Packers are ranked #1 in Defense it’s a positive. There’s some surprises too. Lowry have been better than I thought he’d be, Martinez goes without saying but what about Bradford? He’s been doing really, really well. Brice seems like another find. A guy that better get in gear is Elliott. I’ve saw absolutely nothing from him and with the depth the Packers have he can’t live off last year, not this season. The kid they brought over from Denver (McCray) has been all over the field. Rollins is my new favorite player to watch. I believe this kid is going to be special and has just stared scratching the surface.